A pair of Whitetail deer bucks laying in the grass. Photo by Len Villano. Popular state hunting message boards and Facebook pages are ablaze with debate this week after word spread that the crossbow deer-hunting season may be shortened. Never mind that the state’s Natural Resources Board (NRB) had only requested information on possible options to consider, should the DNR ever decide to pursue a rule change. With crossbow hunters averaging a 6.8-percent higher success rate on antlered deer than archers, seven potential options to balance the success rates with those of archers were listed, and all involved shortening the crossbow season. That led to 25 individuals providing 28 written comments in advance of Wednesday’s NRB meeting in Madison. To achieve a reduction in the buck kill at current crossbow-license sale levels – and that’s been a moving target – options ranged from eliminating weeks of hunting (early or late), split seasons, later openers and earlier closings, or allowing crossbow deer hunting only on weekdays or weekends at certain times of the season. It’s been five years since the DNR allowed any legal hunter to use a crossbow for deer hunting. Prior to the 2014 hunt, only those age 65 and older, or physically disabled, were allowed to use them during the archery deer season. Through mid-January – and with only a dozen areas still allowing an extended bow and crossbow deer season – Wisconsin archers had registered 40,148 deer and crossbow users 46,982. The biggest concern seems to be in the buck harvest, with archers reporting 21,605 and crossbow hunters 25,883. It was the second straight year when crossbow kills exceeded those with vertical bows. 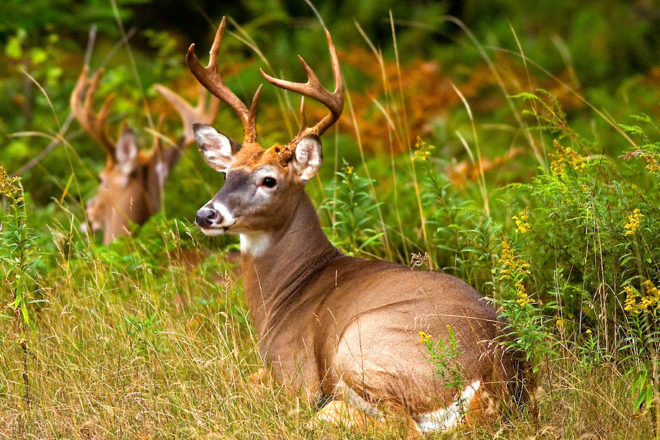 Closer to home, through mid-January, Door County archers reported 426 deer, including 162 antlered bucks. Kewaunee County was at 326 total, 143 of them bucks. The crossbow numbers were significantly higher, at 762 (331 bucks) for Door and 479 (241 bucks) for Kewaunee County. Looking at the DNR’s harvest-reporting page, it seems crossbows are much more popular in northern Wisconsin than they are farther south. In many northern units, roughly two-thirds of the “bow” harvest is from crossbows. The opposite is true in many southern units. Crossbows are ready to shoot when deer appear, and most have scopes. With no need to draw back, it’s a big advantage. Anecdotally, at least, it appears that crossbows are attracting more of the youngest and oldest hunters, as well as women. The DNR reports the average age of crossbow hunters is 52, about 13 years older than the average archer. It’s hard to know exactly how many hunters are using vertical bows versus crossbows. Preliminary totals show that 89,544 crossbow licenses were sold this season, up about 9 percent, while archery licenses fell to 139,312, a drop of about 9 percent. However, there were also nearly 54,000 Conservation Patron licenses purchased, which allows the buyer to choose either bow or crossbow deer hunting. On the firearms side, there were 577,596 licenses sold allowing gun deer hunting, the third straight year of a 10,000-plus decline and the third straight sub-600,000 license-sales year after having more than 600,000 since 1977 – 39 straight years. Gun deer-hunting license sales peaked in 1990 at 699,275 and were still strong at 688,540 in 2001, the year chronic wasting disease (CWD) was discovered in southwest Wisconsin. The fear factor over CWD led to the largest single-season gun deer-license sales drop in state history – a loss of nearly 70,000 hunters – in 2002. Two years later, just under 650,000 people purchased licenses before numbers fell again. The 2015 season (613,177) was the last year of more than 600,000 gun deer-hunt license buyers. Entries for the DNR’s annual Great Waters photo contest and writing project are due by Feb. 1. Top photos will be included in the Office of Great Waters’ 2020 calendar. There are four photo categories: people enjoying the Great Lakes, natural features and wildlife, cultural and historic features, and stewardship activities. Winning photographers and writers will be contacted by mail, phone or email and will receive a calendar. Learn more at dnr.wi.gov/topic/GreatLakes/Contest.html. • Candlelight ski and hike events are set for Feb. 2, 5:30-8 pm, at Peninsula State Park, and Feb. 9, 5:30-8:30 pm, at Newport’s 29th annual candlelight night, when snowshoes will be added to the mix. • Through Jan. 18, Lake Michigan was 20 inches above its 100-year average, and two inches higher than last year at this time. Water levels are 48 inches higher than the all-time January low, set in 2013, but 15 inches below the all-time high, set in 1987.